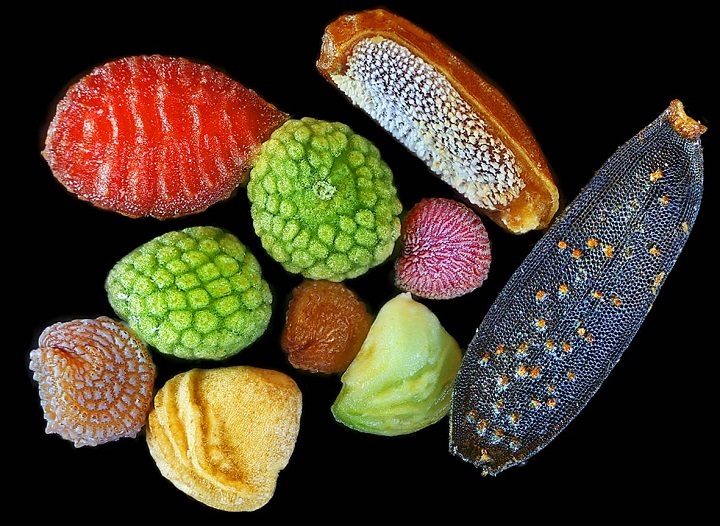 I am obsessed with this amazing microscopic photograph of seeds. Just look at it. Look at the colors, the crevices, the textures. I realize that a big part of my ministry involves planting seeds, recognizing that the seeds I plant may lay dormant – but let’s hope not for 100 years. That might be too late for First Church on the Hill. I plant seeds in Church A that might sprout in Church B. I plant seeds that hitch rides from Pastor C to Pastor D.
I cannot make a congregation discern God’s will, choose wisely, or become more faithful disciples. I can only plant seeds. But get to plant them all over seven counties in North Carolina and beyond. Best job ever. Photo by Rob Kessler. Image source.